Treon's Realm: Hyrule Historia Is Officially Being Released In The West! 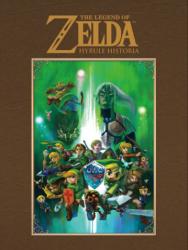 Hyrule Historia Is Officially Being Released In The West! The official date is January 29, 2013 with the price set at $34.99.